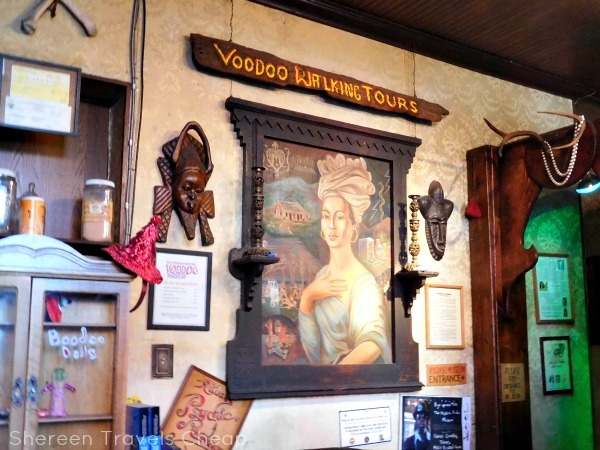 One of the things I was particularly interested in when visiting New Orleans was learning more about the Voodoo culture and visiting a few of the voodoo shops, which are all over the French Quarter. 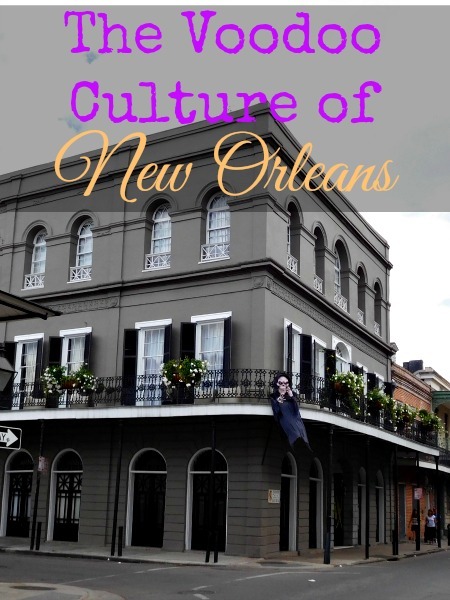 What we think of as traditional Nola voodoo culture is not exactly what it is. If you're thinking chicken blood, dolls with pins in them and witch covens, then you're definitely mistaking this with a darker voodoo, as I sort of was, too. It's more spiritual and earthy than that...and I didn't see anyone sacrificing a goat. 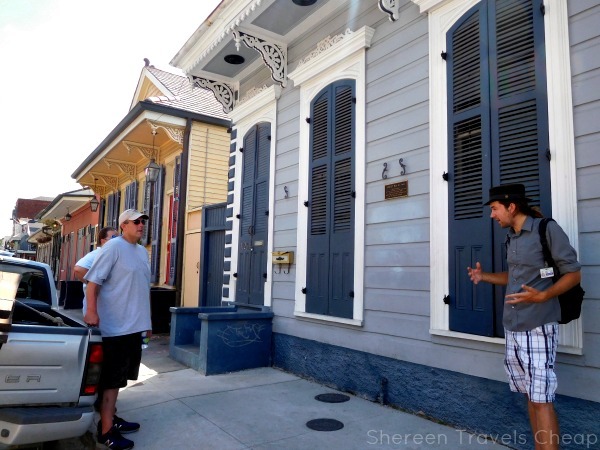 One day we walked miles around the French Quarter, up to Frenchman's Street and back. I'd wanted to visit Hex, an occult shop everyone was raving about, and we just ended up walking further out after that. On the way back to the streetcar, we passed by some amazing homes, including this one that I snapped a pic of because I loved the balcony and that they were definitely ready for Halloween. On a walking tour we did later in the week, we stopped here as well, as this turned out to be the house of Delphine LaLaurie. Now, maybe you know about this socialite who was known for torturing and murdering her slaves from American Horror Story: Coven. 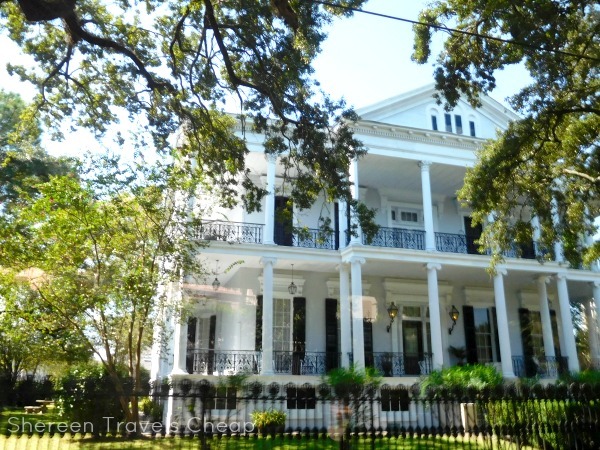 This is the house they used on that show, which was right down the street from where we were staying in the Garden District. Another, and probably the most famous, resident of New Orleans (who was also portrayed on American Horror Story: Coven) was Marie Laveau, the Voodoo Queen. She's said to be buried in St. Louis Cemetery No. 1. 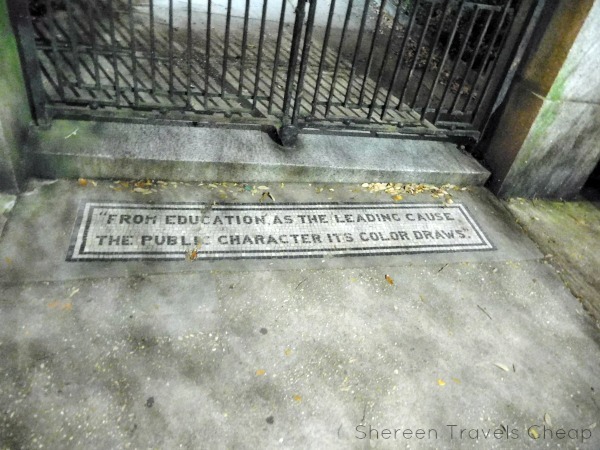 Until recently, anyone could wander in and view her tomb, but there have problems with people defacing it. People used to just draw 3 Xs on the tomb, which is still a crime, but was tolerated , but after someone came in and painted the whole thing pink, the church put a stop to visitors who were not with a tour guide. 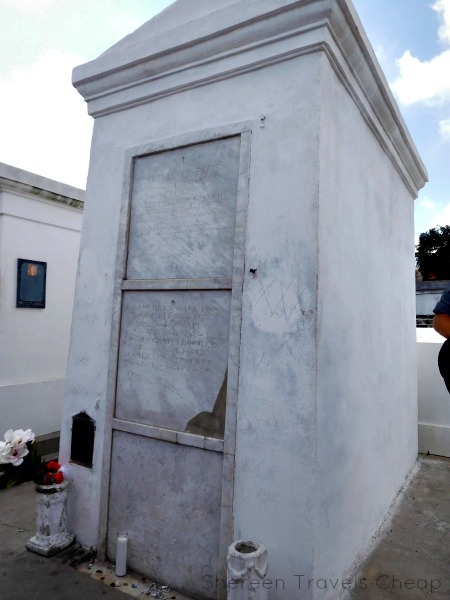 Folks can no longer as Marie Laveau to grant a wish in the traditional way: Draw an X (I believe 3 Xs became the norm, because 3 is the most magical number), turn around 3 times, knock on the tomb and shout out their wish. If the wish was granted, they were expected to come back, circle their X(s) and leave an offering. In my opinion, it's just good manners to bring the offering first and follow up with another. On this tour, we learned about other residents of St. Louis No. 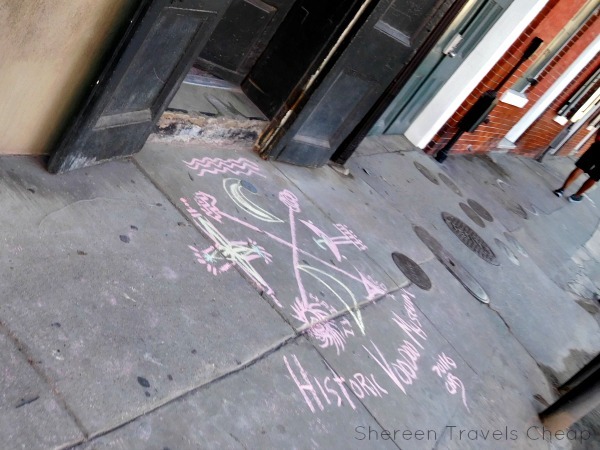 1, and then went on to explore the French Quarter, where we stopped in front of the home Marie Laveau actually lived in. It's nothing special, but it is historical. 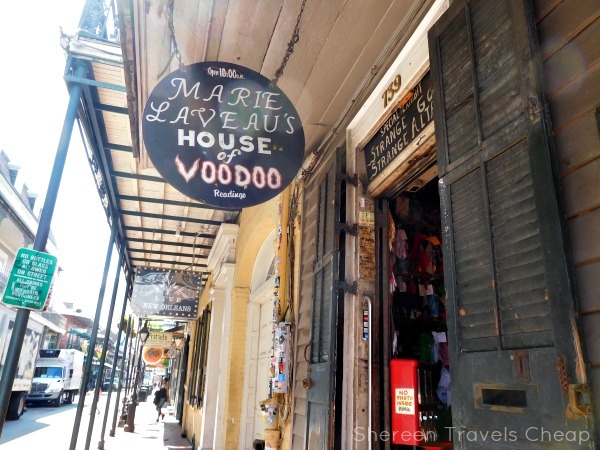 I had the chance to wander around this shop named for the Voodoo Queen. Unfortunately, no photos were allowed, but there were spells and dolls and trinkets and candles to purchase, plus it smelled amazing. All the different incense they burned on any given day mixed wonderfully and I kind of didn't want to leave. 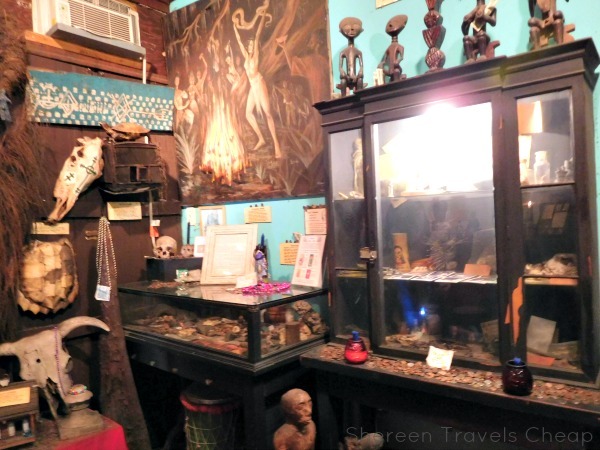 Almost all of these voodoo shops have readings you can get done. I was tempted, but I'd purchased a beautiful new tarot deck at Hex and decided that would have to suffice for my future-telling experience for now. 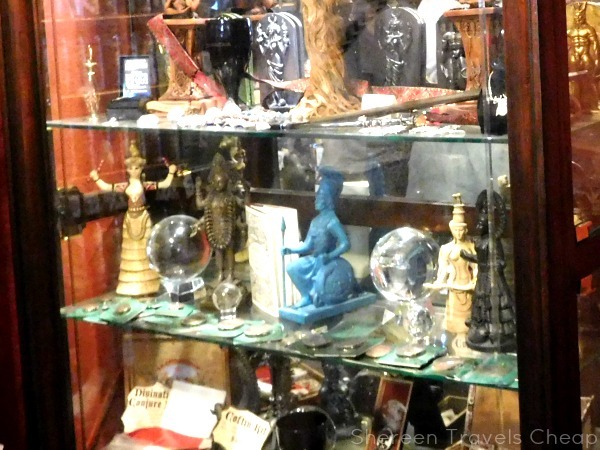 Inside these shops, you can expect to find a huge array of occult books and spells, crystals and jewelry. There's a ton of different ways to to practice Divination, including spikeomancy, runes, tarot, tasseomancy (reading tea leaves) and even scrying (using crystals or a sphere). If you've ever used an Ouija board, you've practiced Divination. 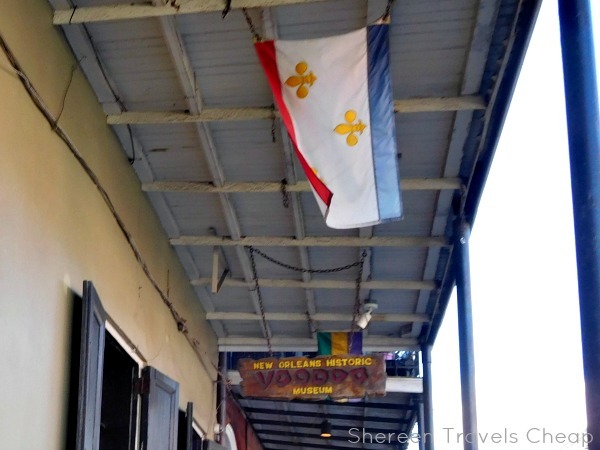 Before I even left home, i knew I wanted to visit the Museum of Voodoo. Considering the way photos were banned fro, a lot of other shops and facilities, I was pretty excited when they said to take as many photos as I wanted. I wanted! It can be easy to miss this little shop/museum, but it's definitely a hidden gem. Admission is $7, but we were given a 2/$10 special. Score! The museum is miniscule, which might make you think that it's not worth the money, but it totally is. There's a lot to read and learn, plus you get to make a wish to the shrine in the back! The museum starts in the tiny sitting room (where they do take credit cards). It also ends here, so if you're claustrophobic, this may not be for you, especially if there are more than 6 people visiting. You get a flyer telling you all about the history of voodoo in New Orleans and Marie Laveau herself. That's a portrait of her up there. There are just two rooms at the museum and a long narrow hallway, but the amount of artifacts packed into it is amazing. This is not just about, traditional voodoo, but animal-based magic as well. I'll spare you the dried cat carcass on the wall. The point is that it was dead before it was used, and not killed. 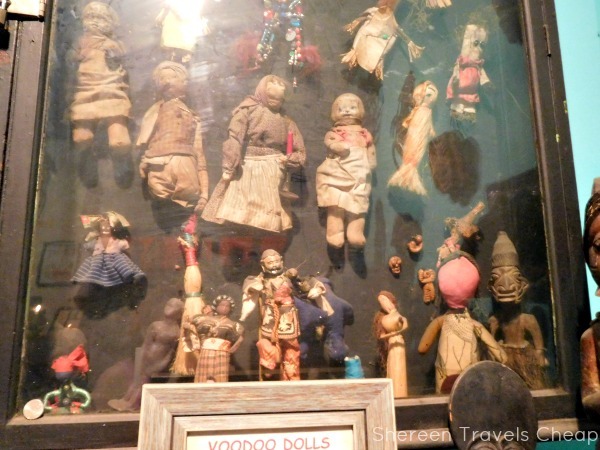 Instead, check out this case full of awesome voodoo dolls that are used to nudge someone in the right direction or help you in life, not to cause people pain, as that doesn't really work. Learn about symbolism in voodoo and how snakes are considered the ultimate in good luck and were often kept as pets. 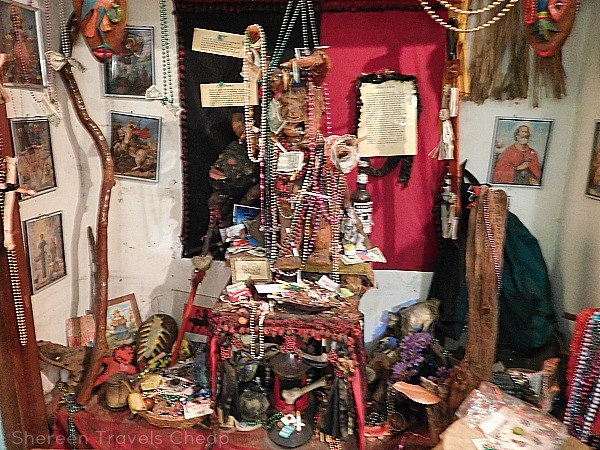 Though there isn't much about the dark side of voodoo, and the type of voodoo practiced in Louisiana is more like pagan and white witch practice, used in conjunction with religion, than anything else, but with a heavy influence on belief that the dead are instrumental in helping you achieve your dreams and goals. Treat them with respect and they will respond in kind. I can't wait to learn a bit more now. 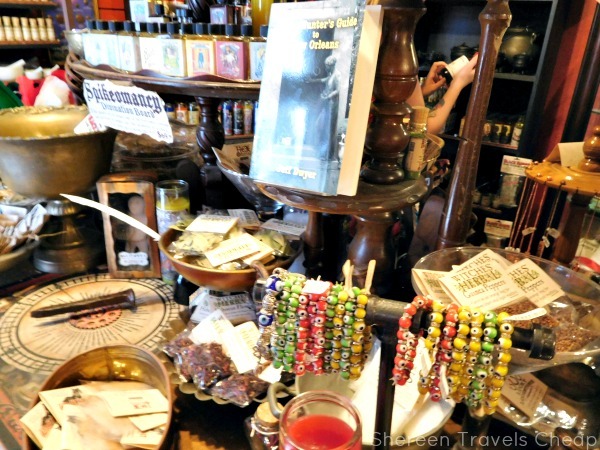 Have you ever visited New Orleans and, if so, did you engage in any voodoo rituals or fortune telling?